Not much is known about this computer. Can you help ? Apparently, the only difference between the FM-77 AV40 SX and the FM-77 AV40 EX, is the built-in BASIC language. Can someone confirm this ? 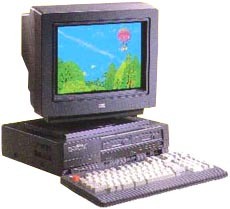 see more Fujitsu FM 77 AV EX Ebay auctions !